It’s been hard to find time to make charaben lately with the weather being chillier because I find it harder to get out of bed. Last night though, I made myself give it a go again for the first time in months and it felt really great to be back at the cute lunch game. 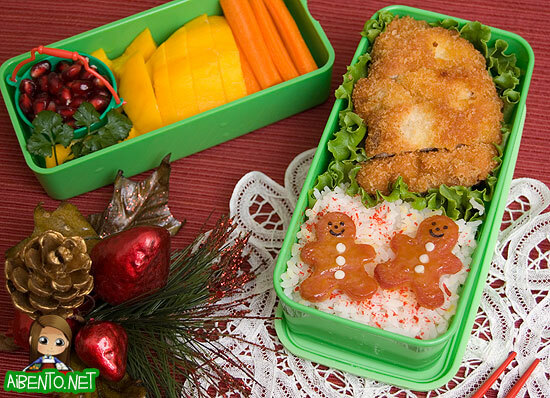 Here we have a pair of gingerbread buddies. I cut them out of spam when I was making dinner last night using a mini cookie cutter from the Wilton Holiday 6-Piece Mini Metal Cutter Set , which can be found on Amazon. I cut their little buttons from white cheese using a piece of coffee straw, then sliced the buttons into thirds before applying with a toothpick. 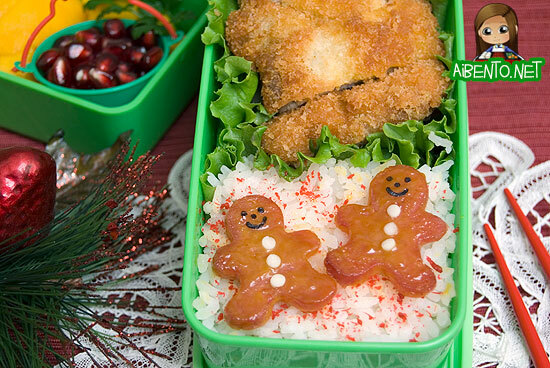 In the lunch I have tonkatsu slices and rice sprinkled with red hana ebi to make it look a bit more festive. In the other tier I have pomegranate seeds, mango, and carrot sticks. Here’s a closer look at them, with little nori faces. They’re topped with a brown sugar and mustard mixture. I’ll write about how to make this on Learn2Cook soon, so keep an eye out for that recipe. 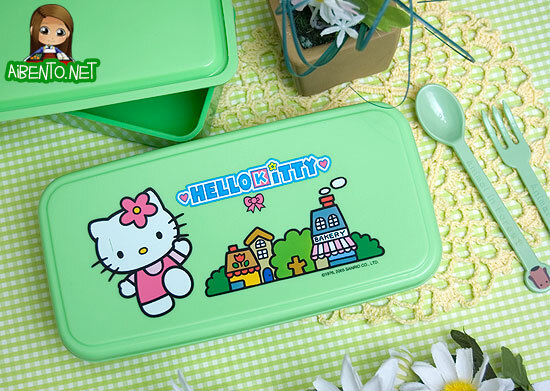 For this bento, I used #030. Yeah, I haven’t done that in a while, haha! I really hope eventually I can have a bunch of really nice sets on Flickr.